One year ago today after 148 days and 2,650mi. 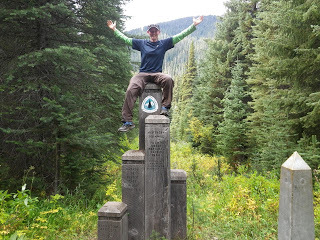 Today is the one year anniversary of my completion of the Pacific Crest Trail! Wahoo!!! In celebration of this momentous day, I thought I’d reflect on this past year, share some photos, and update everyone on my future plans. I chose not to journal regularly when I returned home because I felt like this journal was unique to my experience on the PCT and it was perfect just the way it was. It captured a first time thru hiker’s experience through one of the toughest seasons ever on the PCT. Somewhere in the first month of my hike, there reached a point where the journal took on a life of it’s own and spread quite quickly. It was unexpected and overwhelming, but felt natural and purposeful. I was inspired to do the trail by the journals I read online and it felt right to continue that cycle for future hikers. The PCT and this journal has had a major impact on my life and others. It is one I could never imagine nor put into words, but I’m still going to try. back around, I felt that urge to be outdoors and sleep in a tent again. Fortunately, I have found that my life fits pretty easily into the lifestyle of long distance backpacker. My work as a substitute teacher and babysitter allow me the flexibility and freedom to work hard and play even harder. I live a simple life in Portland, so I realized that I can work for 6-9 months of the year, and save up enough to backpack the rest of the year. I work a lot of hours, but it is very motivating when I know how immediate the reward will be. I’d rather work double hours half the year than work regular hours the whole year. I kinda kicked myself for having not planned another thru hike this past season, but I know I made the right decision. I think that doing two trails back to back after such a draining PCT would have just burnt me out on thru hiking altogether. 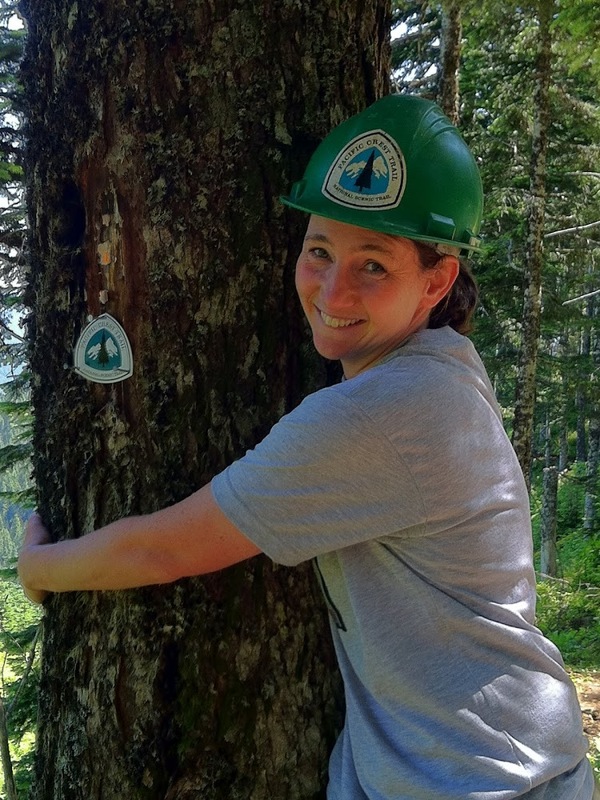 Instead, I chose to take the year to save up, and took the summer do many shorter backpacking trips, volunteer trail maintenance, and even some trail magic. Even though I wasn’t posting on my blog, I definitely filled the year with lots of outdoor time. The following slideshow is comprised of pictures from this past year’s adventures. As I traveled this summer, I found myself enjoying the fact that I had an extra hour or so a night because I wasn’t publicly journaling. It was a nice change of pace, but I know I definitely want to continue journaling when I get on the CDT this coming April. As I’ve said, the journal took on a life of it’s own and I will always be in shock of the effect it has had on so many people. I still get amazingly heartfelt emails from time to time from people who were inspired by this journal. Even more surprising to me is how often I get recognized on various trails. On almost every trip I went on this summer, someone recognized me and that was fun. I even had a follower who recognized me on the John Muir Trail and was ecstatic because he said I was the reason he was on the JMT. That’s pretty cool! I carry a quote with me on my phone from another follower who wrote, “Your journal represented the one flicker of brightness in my dark world. It was the one reminder that the world is a big place, the future is limitless, and I have the rest of my life to live ahead of me.” How great is that!? It is just wonderful to know that I can share my journey and inspire others the way others inspired me when I read their journals. It is a great connection to have with people all over the world! A question I often get is how my twin sister and her son are doing. If you followed my journal, you know that my sister and her husband had their first child a few weeks before I finished the trail. Little Lucas had his first birthday a month ago and they are doing wonderfully. He is adorable! 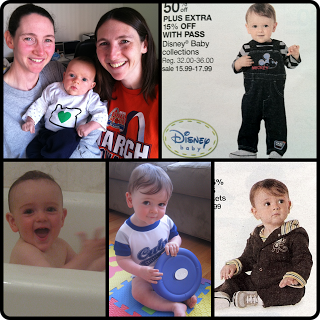 So cute, in fact, that he has been doing some baby modeling and has recently been in the national Sears flyers. I couldn’t resist putting together this little collage with some pictures of his modeling and from home. So cute! Now that I’ve summarized this past year, I’d like to let everyone know that I definitely plan on starting the Continental Divide Trail in April 2013. I will be posting a final entry on this website this winter that will preview the new website I’ll be using to journal on the CDT. This journal will remain online and I have created a static homepage to help with navigating the archives. On that homepage will also be a tab for my CDT 2013 Journal. If you miss the final blog entry, it will be easy to find by clicking on that tab. Until then, I want to say again, THANK YOU for sharing this journey with me and I wish you luck on all your future journeys! Hey Wired, kept meaning to comment on your outstanding slide show and I have a question. Did you change your comments to just use Disqus? It looks different and I am logged in differently. Thanks! I didn't change anything other than that Disqus had an update. I thought I only had Disqus all along, but every so often, people would comment in a space I couldn't get to or find. I just got an email with no way to respond?? Does this work now or are you still not a fan? It is much different and I love it. It was complicated before. I received by email your reply. Love that AND if this reply is posted that is the best! Easy, clean, and informative. Yay! This is how I thought it was all along. Not sure what was going on before, but this should be much more user friendly.